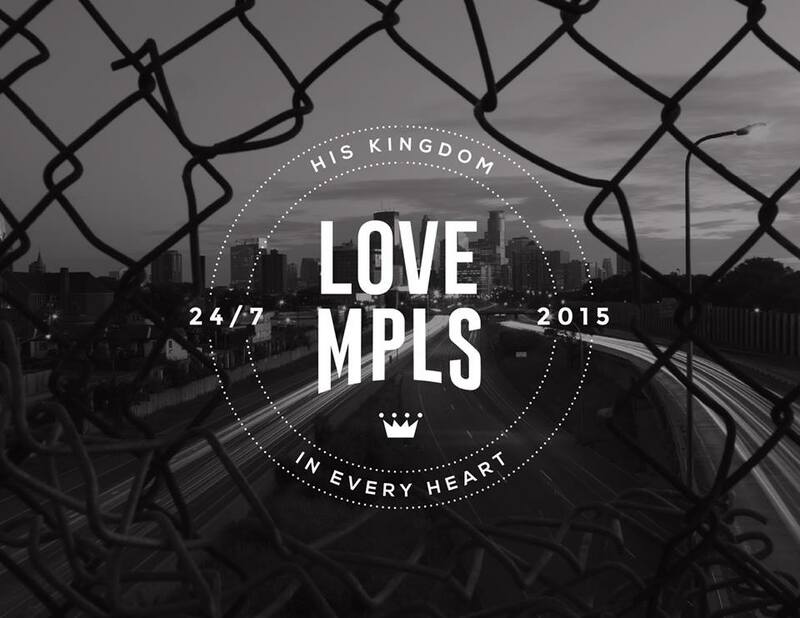 I have some deep thoughts that I’ll post later about a life of ministry in the inner city, but I wanted to keep you posted on an event we’re involved w/ called Love Minneapolis. This is a week long worship and evangelism experience. 24 hours of worship, prayer and intercession; combined with 24 hour evangelism throughout our city. The kick off was last night and featured worship from Jaye Thomas of IHOP. I took a team of about 12 with me from the kickoff to a park on the Northside. I stood on a bench and welcomed our neighbors to worship and pray in the park with us, and preached a 1 minute sermon on Elijah vs. Baal: choose today whom you will serve. As we worshiped, our group began sharing the Gospel with the families and kids in the area. What blessed my heart the most was several kids came up to worship with us and even taught us some of their own songs they knew. The kids in this area have such a strong destiny in the Lord, and I continue to pray for connection points with them. I was able to invite many to our Thursday night Bible studies. We’ll be heading out pretty much every day this week. Come join in!